A team of scientists from around the world led by a University of Wisconsin-Madison professor has found a second chamber with fossils of a species related to humans, the Homo naledi. 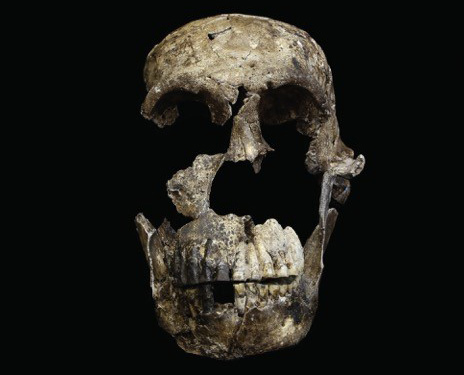 Between 2013 and 2014, in the underground cave system known as the Rising Star in South Africa, a discovery yielded the largest, most complete find of hominin fossils in Africa. Now, a team including UW-Madison anthropology professor John Hawks has found more remains of the previously unknown species naledi in a second chamber, the Lesedi Chamber, about 100 meters from the first, called the Dinaledi Chamber. The discovery was published Tuesday in the journal eLife. The creature roamed the earth between 236,000 and 335,000 years ago. The same time as ancient humans, according to one of the reports. Among the remains found during the latest exploration were two adults and a juvenile, according to the university. One thing that is different in the most recent search was finding a nearly-complete skeleton named "Neo." "With one skeleton, we can see how those bones go together in one individual," Hawks said. "We know much more about the skull, because we have a complete skull, and we can see its face. We can, for the first time, look at the face of naledi." Neo's skeleton is about 250,000 years old and one of the most complete skeletons ever discovered, Lee Berger, another team leader, told UW-Madison. Neo's skeleton is more complete than Lucy's, the world's most famous Australopithecus afarensis skeleton found in 1974 in Ethiopia. The discovery also helps confirm a theory that about 250,000 years ago, the naledi were deliberately putting their dead into a remote place. "Finding another chamber with more dead bodies in a very similar situation was a way of testing that hypotheses. It's oh, we really were right about this," Hawks said. The two separate trips into Rising Star are providing a deeper look into the hominin species than ever before. Scientists are planning more research in the cave system, Hawks said. Is It Okay To Snoop On Your Kids?